From time to time everyone buys something, may it be on a sale or on a regular day, but the best feeling comes when you buy something you liked at a price that is very genuine, one thing great about shopping is its deals and sales that are available on big e-commerce websites like Flipkart and Amazon. Before placing an order make sure you check a few things that may help you save some extra money. Here are some last-minute tips that can help you save a couple of rupees. Well if the product is on Flipkart there is a big possibility that the same product will be available on Amazon, so it’s always good to cross reference the things that you are trying to buy, sometimes there are 2 authorized sellers of the same product in one website. Websites like PriceDekho and CompareRaja can also help you compare the prices of the product that you are trying to buy. Amazon and Flipkart have ties with banks that give you cash back or discounts when you purchase something by using your credit or debit cards. But discounts and offers are different from one portal to another. So it is important to check if there are special offers going on for the product you are trying to buy. If your banks are not offering any discounts on the spot, chill because wallets are there to help you out. A lot of wallets offer a big number of cash back on Amazon and Flipkart. 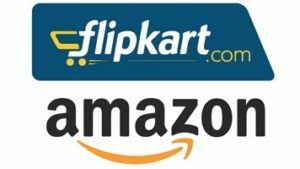 E-commerce websites offer cash back on wallets if you pay online, Amazon uses Amazon pay and Flipkart uses PhonePe. Make sure you check this before purchasing a product officially. If you are trying to buy a cellphone from Amazon or Flipkart make sure you check if there are any special exchange offers going on. Your old phone can get you to save some money on the next phone that you will be buying. Recently, Amazon offered an extra Rs. 5,000 off on an exchange offer when you buy a Samsung Galaxy Note 9. Flipkart offered an extra Rs. 3000 off on an exchange offer when you buy an Asus Zenfone 5Z. E-commerce websites offer discounts during different hours in the day, so make sure you check it out from time to time, maybe you will get the product at a 40 percent discount. Amazon and Flipkart offer flash sales throughout the day, but remember not all products are listed there, only a few are. During festival sales, Amazon and Flipkart give an extra discount if you use your HDFC bank cards or PhonePe. Usually, these offers are focused on smartphones like Realme 2 and Realme C1. But who knows you could get an instant discount on the product you are trying to buy. One thing that you need to keep in mind if you are buying on a festival sale is that you are not the only one who is trying to buy the same product, so one advice that we would like to give you is to pre-save the product that you are trying to buy and make sure that you have fast internet speeds. Rather than using 4g, we prefer you to use WiFi or LAN internet. Sometimes flash sales don’t even last for 2 or 3 minutes, so you would not want to risk the good offer.